Gifts from the Pirates: "Dude, suckin' at something is the first step towards being sorta good at something." The Wii U has definitely taken over as the most played with Console in the house and Ive been loving getting back in to sitting with the boys and playing games. 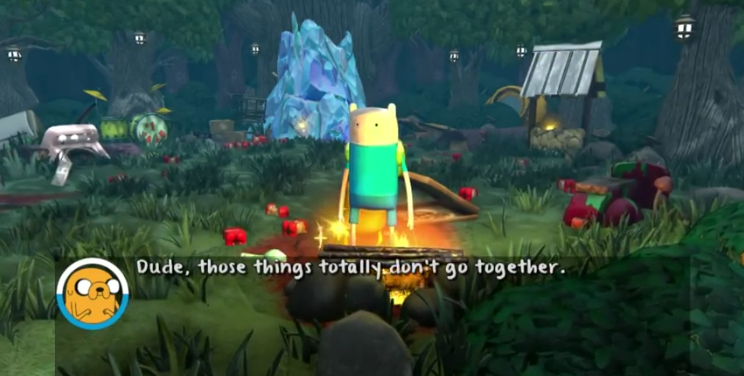 Mine and Opeie's recent favourite is the fourth installment from the Adventure time games, Finn and Jake Investigations. Personally I wasn't a massive fan of the last three but the boys loved them. 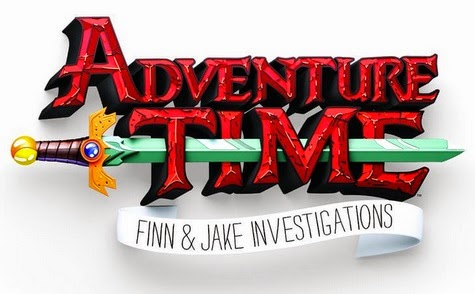 Finn and Jake investigations is a completely different concept and when I read up on the game before hand I knew it was going to be my sort of game. Apart from the mid level fight scenes the game is a slow paced puzzle adventure game. 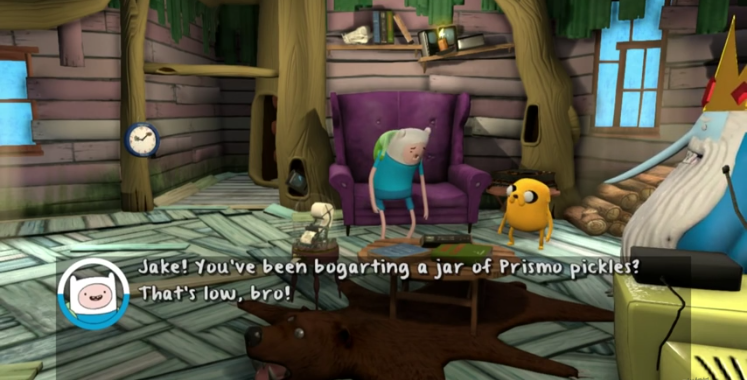 You play as Finn but use his trust companion Jake to progress through the level. 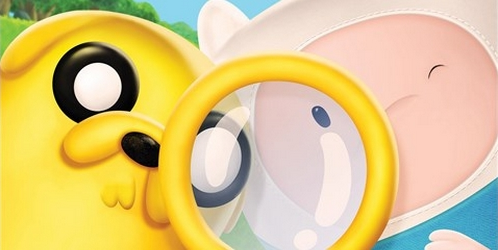 With countless items to pick up through your adventure, you need to work out how to use each one or which of their many from the land of Ooo to give them too. My favourite part of this game is that each level plays out like an episode from the series and they are equally as bizarre as the show. When we first started playing I thought that the game would be too difficult for Opeie to play (being 4), but we've been sitting down together and working out the puzzles as a team, he's picked up on quite a few of the things Ive not noticed too which is interesting. I wont give too much away about the level content but in the first two levels there are people being kidnapped and hairy beasts upsetting the residents and characters to spring from jail. We're only three levels in but we are really looking forward to completing the rest of the game. Finn and Jake investigations is available on all the usual consoles but also available on the Nintendo 3ds (perfect for mobile gaming).